I realised that I would probably feel uncomfortable about Julia being able to see my face as I worked. I am an actress and in seven years of narrating audiobooks there had never been an author present at any time. Recently I have been asking to have all the lights turned off in the studio so I could turn the iPad screen up to its brightest, but this made my eyes blur after about seven hours so now the lights are on again. And this meant my face would be lit. So I placed myself rather carefully at the microphone on the day I invited Julia to the studio. 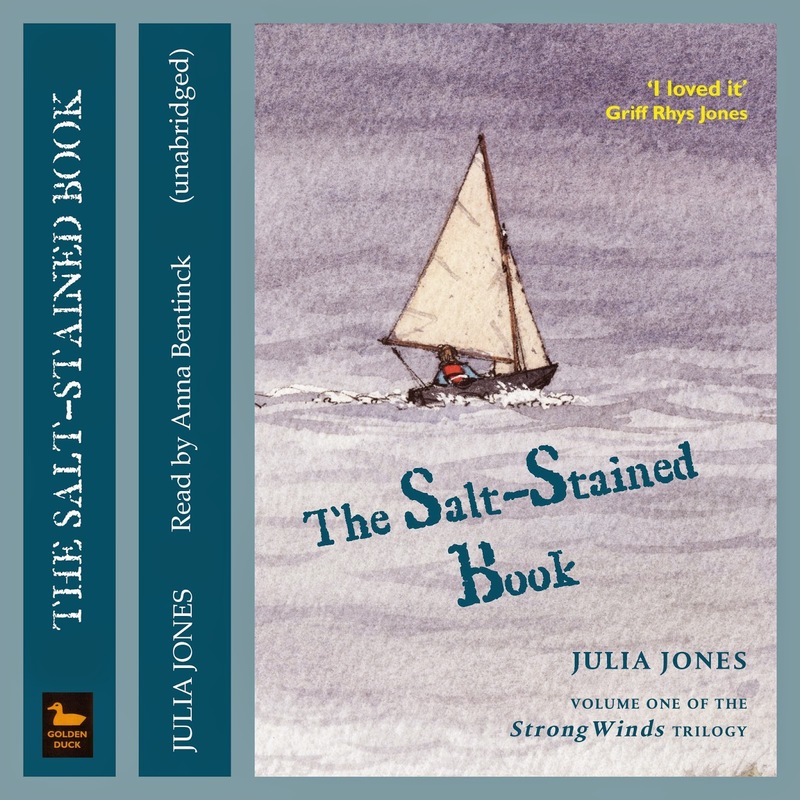 The Salt Stained Book is a wonderful adventure story with a strong theme of sailing and with references to Swallows and Amazons. I was very happy to be the narrator for the audio version as I knew the author Julia Jones, and had already read and loved the book. But I had not really anticipated how anxious I would be about her listening to me interpreting her work. I had already phoned her to check up one or two things about how some of the characters might talk and so I asked her to come to the final recording session. I knew that I would have settled into the character’s voices by then and that hopefully she would like what I had done. I didn’t want her to ask for changes because this would have incurred expensive extra time in the studio. Profit margins are very tight in the audiobook world, costs are estimated by the minute; we work fast and carefully, and the producer/engineer is a highly skilled multitasking person. Actors have different ways of preparing books. My way is to read all of it out loud, marking it up on the iPad and noting down separately any clues the author has actually written about the characters such as “Jane’s strident tones rang out across the library” and any clues that I notice about them. For instance where they were born and how long they lived there (traces of Welsh), habit of patting her hair and touching her mouth (generally anxious). It is crucial to read it right to the very end as disaster can strike. Once in the last chapter of a thriller the main character - a mean, slimy type - was suddenly described as having a “throaty Scottish burr”. I had prepared him with a Londonish accent and a rather high nasal voice. So I had to go back to the beginning and speed through to all his speeches to rehearse them differently. I also check any difficult pronunciations with online pronouncing dictionaries and sometimes ring up tourist offices to get place names correct. With Julia settled on the sofa behind the glass wall with the producer, I knew she could only see me side on and I could not see her face at all. I could not bear the thought that I might catch sight of her grimacing with dislike when I thought I was being terribly funny. I do imagine my listeners sometimes, I think of them doing the washing up or driving somewhere but mostly I like to fall deeply into the book and in my mind I see the situation the author is describing. I became very fond of the characters in The Salt Stained Book. Some were wonderfully individual like the Mother who could only sign (how to create a voice for a signer? 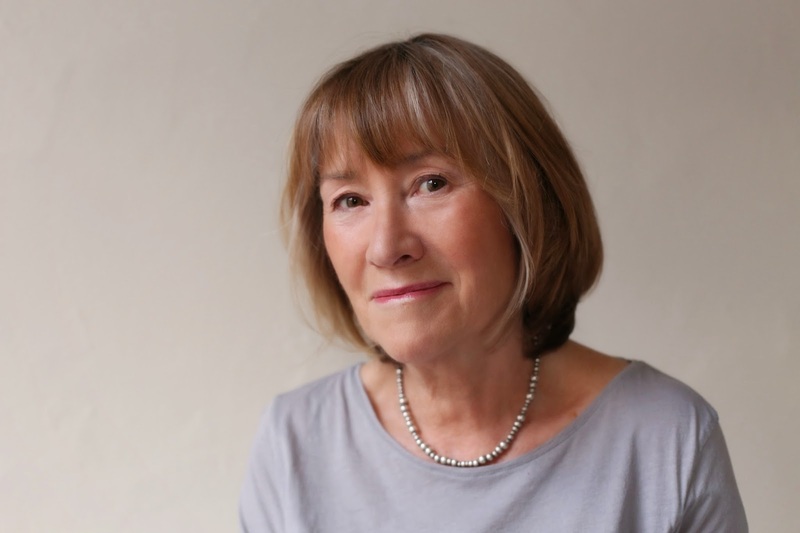 ), the obviously quite posh Granny who was strong and down to earth in coping with very straitened circumstances, and I loved doing the crooked social worker who could not hide her self-regard and the patronising female vicar who turned out to be a real trouper. The central character, Donny, is a 14 year old boy and beautifully drawn and I had worked out his voice after talking to Julia. His friends, three teenage girls, proved to be a bit more of a problem. All around the same age but all very different and two of them sisters. It was interesting to me that the character Julia had had the most difficulty writing was the one I found hardest to bring to life. Sometimes the story was so sad I almost cried as I was recording it but I have learned not to do that, I don’t think it works for the listeners, but I hope I am able to put across the character’s distress and then maybe they will have a little weep, in the kitchen or the car. In the end both the producer and I really enjoyed having Julia there. I had worried she might be bored. We are very used to working together and dealing quickly with stomach noises, mistakes and just sometimes “oh whoops I don’t think he was exactly like that 4 pages ago, can we just go back to the start of that para”? But in fact it was fun to have her see what we do, she was fascinated, and even more fun to read ‘The End’ and then all go off to the pub. It is that time again. The leaves are turning, there’s the smell of woodsmoke in the air, mornings are chilly and there are conkers on the trees. Kids have been back to school for a while, but now it is the turn of university students who are buying new pens and pads and reorganising their possessions in barren university rooms even as I write. The freshers, wide eyed and soon to be legless, are staggering around intoxicated by their new found freedom from Mum and Dad as well as by anything else they can buy on offer in the student bar. For many years I’ve hauled my offspring’s motley bin bagged possessions around the UK from one bastion of learning to another. The scent of autumn brings with it the flavour of apples, blackberries and loss; I miss them when they are away. But the turn of the year also brings with it a certain thrill, the hopeful sense of a new term starting for me as well as for them. This is my new year, my time for new resolutions and new projects. I have taken my youngest son back to uni for his final year. Other family members are knuckling down to their jobs, their A levels, their first year teaching. Our house thrums with workmanlike activity and calm purpose. I have an overwhelming urge to buy a new pencil case, declutter my office, reorganise my life and start a new novel. I have been fortunate to begin this new season and my new year by joining the ranks of the Author’s Electric, an opportunity for which I’m grateful. Even as I write this I can feel the excitement building. I haven’t self published before or written a novel for adults but with the shortening of the days I feel like everything is possible. I am a fresher again, intoxicated by new found freedom and the chance to write new things. I never get anything much done in the Summer but the Autumn is another story and to read it watch this space! It's been an especially beautiful September - my favourite month - and I've been watching the year slowly dying in a haze of gold. 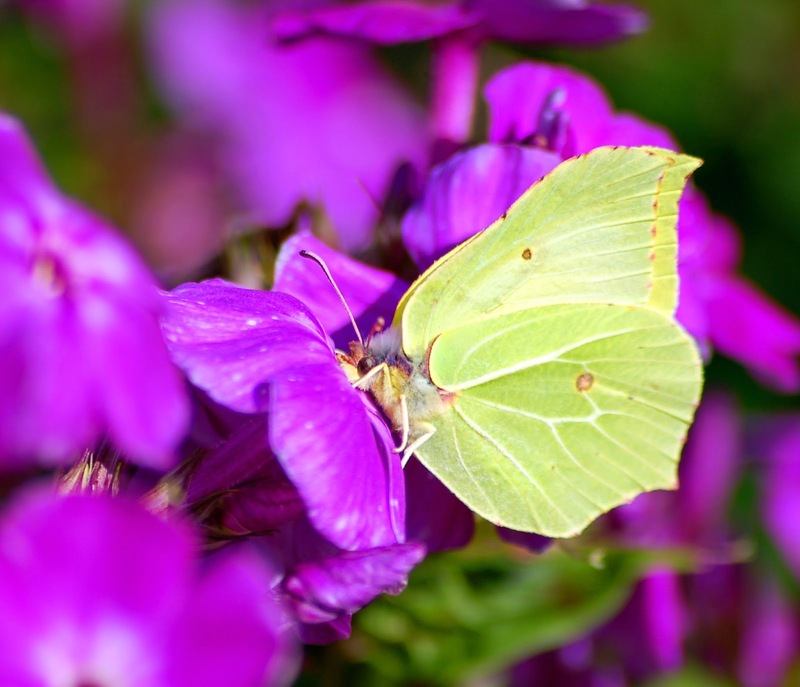 My London back garden is full of colour. Today I picked my last runner beans, and was starting to remove the stems which were infested with blackfly when the structure up which they'd been growing collapsed, reminding me cruelly that it's been a year and a half now since I lost my beloved David who set up the beanpoles in the first place. Recently, I've been meditating on my own death, and, indeed, death itself. In my work, I've always found endings difficult - they have to be perfect, rounded, right (would that life were like that) and I've often fantasised about having a convenient 'END NOW' button I could click at an appropriate time. To be honest, it's not just a fantasy. I have recently become a member of Exit International. The 'appropriate time' is certainly not now, but I would like to think that, if that time came, I could have that choice. September spiders have been weaving their extraordinary magic too - I've seen a posy of dead leaves spinning on a single silver thread, forming a perfect mobile. Spiders are so entrepreneurial - trying out contact between the most unlikely of objects (today a connection between my garden wall and a plastic chair, one which I felt would be too vandalistic to remove). Two years ago, the sight of so many of these delicate structures destined to be broken became the inspiration for 'ARABELLA'S WEB', published by Franklin Watts and coming out early next year. Our personal 'Arabella' decided to weave her web between the wing mirror and our car, thus hitching a lift between London and Cornwall, and she didn't even know she was travelling! From time to time, I enjoy a good crime novel, and my author of choice for these is Ruth Rendell. I love the way she plots, like a symphony, allowing us to experience the sounds/colours/smells of her characters, and then weaving them together so cleverly. Dickens used the same technique, which, when I was forced to read him as an adolescent, I found irritating, because as soon as I was involved with one set of people, he would switched to another - well, I've grown up since then. Recently, though, I've been reading Donna Leon, with her detective, Brunetti, living and working in Venice. A very different kind of storytelling, much more linear, and with the city itself as the backdrop, and the relationship between Brunetti and his wife, and his closest colleagues, far more important than the psychologies of his criminals. An interesting contrast. On the whole, I want to know WHY they dunnit, rather than WHO dunnit - all the minute building blocks leading up to disaster. For those of you living in London, and hooked on gritty contemporary drama, you might like to book for 'STREAMING' at The Pleasance, which is just off York Way, in the rejuvenated Kings Cross area, in November. I'm mentioning this now, and will again at the end of October, because my totally amazing grand-daughter, Anna Munden, is a very significant member of the caste of three. Family friends have expressed concern about the possible psychological side-effects of a young girl playing such a role, but actors, like writers, have to be able to don different bodies, often dislikeable or tormented ones, and still survive. I imagine that Stephen King must be the sanest of people, since, with his work, he's allowed himself to explore the nastiest and most terrifying parts of his own psyche without hurting anyone. When I set out to become a writer in the early Seventies literary agents were no more than fantasy figures to me. I had no idea who they were or how I might find one to help me. I imagined that once I did locate one, however, he or she would take me under their wing in much the same way that Colonel Tom Parker had looked after Elvis, and they would do everything to launch me that Brian Epstein had done for the Beatles. Surely, I reasoned, literary agents must work in the same way as these infamous Svengalis of the music business, who we read so much about in the “Swinging Sixties”. Eventually I discovered where these mysterious agents’ addresses and telephone numbers lay hidden and I started to pursue and plague them with letters and synopses and ideas and manuscripts. I was a frustrated and deluded stalker in pursuit of the ideal soul-mate who I fantasised would accompany and support me through my professional life journey, assisting me in picking up all the glittering prizes along the way. After what seemed like forever one of them broke free of the ranks of rejection and indifference that had till then greeted my lovesick overtures, and agreed to take on the project I had sent to woo them. When they sold it I experienced an almost overwhelming surge of joy and tearful relief and assumed this was the start of my meteoric rise to fame and fortune, just like Elvis and the Beatles. But the next set of ideas I sent my beloved new agent didn’t seem to catch her fancy. I could see I was losing her attention. What should I do? Should I scream and cry and make a scene? Should I sulk and pout? Should I beg? Then it occurred to me that just because she didn’t fancy my ideas, that didn’t mean another agent wouldn’t be interested. I wrote to tell her that if she wasn’t interested I wouldn’t just be chucking my work in the bin, I would try to find another partner who would appreciate me more than she did. She replied that she was hurt by this betrayal. I pointed out that I had to live and I had managed to leave myself with no other skill in life than writing with which to support myself. This was a matter of basic survival. I promised always to bring projects to her for first refusal. She told me if she couldn’t have me to herself then the relationship was over and I had a sickening feeling that I had made a terrible mistake. But then another agent took one of the rejected ideas and managed to sell it, and yet another agent came to me with a project that had landed on their desk and needed a ghost and some royalties dribbled in from the book sold by agent number one, who resumed a semi-amicable relationship with me as a result. I realised that if I wanted to take advantage of every opportunity that came along, and if I wanted to exploit every idea and lead that came my way, I was going to have to run my professional life like an open marriage. I returned to writing begging and submission letters with renewed gusto, hundreds a week would fly out from my garret to the desks and bins of the literary world, no agent, publisher or editor was safe from my constant entreaties. Most of the agents I started relationships with accepted that an open relationship would work well for both of us. If one complained that they really wanted me to work exclusively for them I had an answer ready; “if you can find me three or four books a year I won’t have time to work for anyone else”. Now and again one of them would manage to do that for a year or two. The trick was to retain their friendship whenever that particular seam of gold ran out and I had to return to looking for new pastures. It wasn’t long before I was set on a path of lifelong professional promiscuity. At the start of summer we received my son’s school report. End of Year 4 in the primary school, he’s ten years old. His marks per subject were pretty much what we had expected – very strong academically, just getting by in activities. But the overall commentary the teacher had written came as something of a shock. He was described as something of a sociopath (my word, not the teacher's) – "needed to be more tactful, uncooperative, a loner". We thought this might have been mentioned during the school year, at parent teacher meetings, in notes home to us, but it hadn’t. I know my son pretty well. He’s a chip off the old block. Very attentive to detail, studious but impatient, strong with figures and language but reacts badly to criticism, mediocre at sports, not too interested in investing energy in friendships. A bit of a lone ranger. Well, as they say here in Ireland, he didn’t lick it off the stones. He and I, we may well both be somewhere on a behavioural spectrum but life has been, is and will continue to be good. After a few minutes of “that’s my boy” I asked my wife to pull out the previous year’s report. So, when we received a bad behaviour note home (a rare event) in week three of the new school year from the new teacher, we were on the case. He and another lad were accused of being disruptive during a visit to a local secondary school – one he might attend in two years’ time. When we took him to task over the note he denied the misbehaviour and insisted it was a misunderstanding or a case of mistaken identity. Discreet enquiries at the secondary school (which his elder sister attends) suggested he hadn’t been any rowdier than the other thirty kids in the room. We met with the new teacher and she said the note and punishment (confiscation of all points earned for good class performance) was based upon his admission of guilt. He had already told us he had admitted to whatever to avoid confrontation and embarrassment. Another story was related where the teacher had opened the last few lines of his homework poem up to the class of thirty ten-year-olds for improvement and he had "clearly felt uncomfortable about accepting constructive criticism". We all smiled, nodded and decided to let life go on, no serious issues. By the end of the week we were receiving worried phone calls from other parents about various notes sent home and punishments meted out. A new teacher straight out of college. Strict disciplinarian. At least we know where we are. Glass half empty. Last Saturday my son and I competed at the Best of the Best martial arts competition in Dublin. It was his first time and he won a gold medal for weapons (sai dagger form performed to Animals by Martin Garrix) and a bronze for points sparring. I was beaten 7 – 4 in sparring by a veteran black belt, enough said about that. As we got into the car to head back to Kilkenny my son said it was the best day of the year so far. I asked what he had enjoyed the most and he said the sparring bronze medal was his highlight as it was more of a challenge. He wants to compete in divisions where he has to push himself to achieve success. His glass is (at least) half full. When half full meets half empty, two worlds collide. How full is your glass today? C'mon and raise your glass. 1 What’s the daftest thing you’ve ever done? – Come on, admit it. My mother always took great delight in telling people that I once made a jelly in the tea-kettle. I came home from school one day to find the house empty. It was one of those bitterly cold winter days, and we didn't have central heating, or any heat in the house at all except a fire in the living-room. I wasn't allowed to do much in the kitchen - I was only about 9. But I was allowed to boil a kettle - in fact, it was my regular chore to make the pots of tea. So I decided to make a jelly to cheer everyone up. I boiled the kettle and poured the boiling water on the bright orange cubes in the pyrex bowl. But it was so cold in the kitchen that the boiling water cooled before the cubes were half-melted. What to do? I took the lid off the kettle, poured the cold water and jelly cubes inside, and boiled the kettle again. It worked a treat. I poured the jelly from the kettle into the bowl, and all the cubes had melted. The jelly soon set in the cold. When everyone came home, they were quite pleased to find there was jelly for pudding. It was a nice crunchy jelly too - full of little bits of lime-scale from the kettle. Later, when I did my usual job of making a pot of tea, it was found the tea had an odd flavour. My parents kept sipping it, trying to identify what, exactly, it tasted of. Eventually one of them ventured that it tasted much the same as the jelly. 'Oh, yes,' I said. I hadn't thought to mention it before. 'The jelly went cold, so I heated it up in the kettle.' Days passed before the tea was tea-flavoured again. I've probably done a lot of dafter things, but that was the one my mother always remembered. 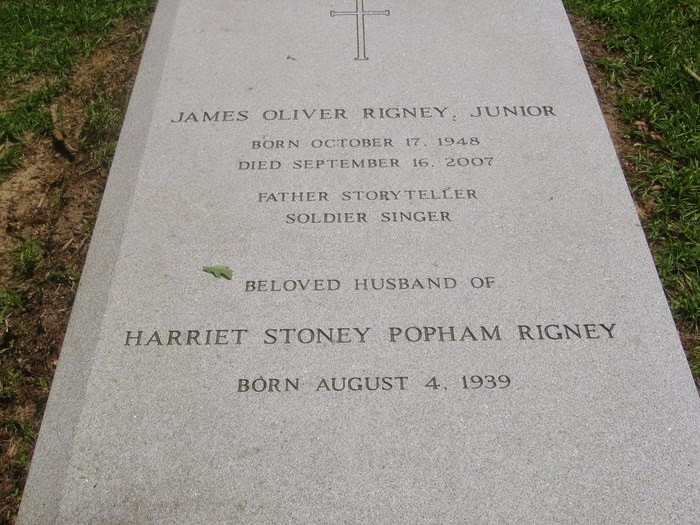 2 What do you know about your great-grandparents? On my father's side, my great-grandfather was a coal-miner named Little Jody Price. On Saturdays, merry on beer, he used to tap-dance, at the top of Oldbury town, to the Salvation Army Band. He'd sing, "These are the feet that tap so neat!" Catching sight of his wife and daughters passing by, he'd shout, 'Look at me, Shuck!' His wife and daughters pretended they didn't know him. His answer, I'm told, to every disagreement with a man was to pull off his jacket while saying, "Outside!" But the stories that have come down to me about him are affectionate. He had six children (that I know of) and though they laughed at him, they seemed to have been fond of him. His wife, I'm told, greeted every visitor with, 'Hast had yer fittle?' - Have you had your food? And every Friday night she made everyone in the family line up to have a spoonful of foul 'Fennings Fever Cure.' The only one who escaped was her little dog, a corgi named Pedro. The rationale for swallowing the awful stuff was that it would save you from the ever-present danger of 'catching a fever from a drain.' The familyargued that, since Pedro was closer to the ground than anybody else, he was closer to the fearful drains, and more in danger of catching a fever. It cut no ice. Pedro ate his dinner from a plate set at the table, and drank tea from a china-cup, but he didn't get a spoonful of Fennings. My Great Grandfather Savage was a highly intelligent, brutal man, a blacksmith, who lived up to his name. He once threw a conductor off the top of a tram. I was told that all his six surviving children (his 'common-law' wife had borne 18) hated him with a real and sincere hatred. Not one of them would have him in their house when he was dying - and when he was dead they got him the cheapest funeral possible, grudging every penny spent on the old horror - 'Hearse, two carriages, coffin, the lot, nine quid.' And after the funeral was done, his youngest son, Frank - who he'd kicked insensible once - went back to the grave and pissed on the coffin's name-plate. On my mother's side there was a great-grandmother, Catherine, who was 'a seamstress from County Cork.' She came to England as a widow with teenage children, and would never marry my great-grandfather, the 'red-headed Welsh milkman named Jones,' (that was his full title: I never heard him called anything else) because, if she married, she would lose the pension paid to her by her late husband's employers - whoever they were. But she got it on with the red-headed Welsh milkman, anyway, because my grandfather was his red-headed son, and took his mother's surname, not Jones. He passed his red hair onto my mother and one of her brothers - though the others were dark, like my grandmother. So there you are - English, Irish, Welsh. My family were only lacking a Scot to complete the set, so I went out and legged one up: my partner, Davy. He was a red-head too, in his younger days. Well, Stark, of course. I've always leaned to the North. I hanker for a heart-tree. But I do think that the best character in the books is probably Tyrion Lannister. 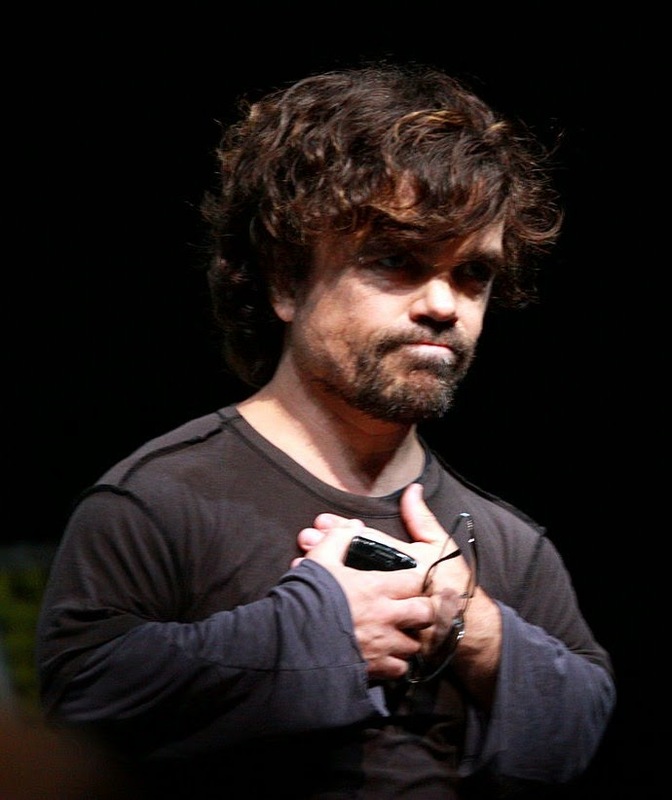 And Peter Dinklage plays him so well in the TV series. I look forward to any scene he's in. 4 Is it immoral to spend £10,000 on a handbag? This is a crafty question, isn't it? It comes from one of the deliberately difficult questions set to Oxbridge candidates. If you can afford to spend £10,000 on a handbag, you have seriously too much money. And if you can't afford it, but spend it anyway, you have seriously too little brain. But why does it cost that much? Materials? The wages of highly-skilled men and women? Is the £10,000 handbag industry keeping craftsmen and women in employment? Tanners, smiths, silk-weavers and designers? If you don't have a trade in stupidly expensive luxury items, then they don't have jobs. But when they do have jobs, they spend the money they earn making stupidly expensive handbags on more sensible and necessary things - and so it goes into the pay-packets of many others - who spend it in their turn. Money's only any use when it's moving - and I suppose that spending ten thousand quids on one handbag liberates a large amount of cash to freely roam. Did the Pharoahs spend huge sums and centuries of effort on building pyramids merely because they were self-aggrandising meglomaniacs - or did the custom become so firmly established because it kept employment high and kept trade circulating? - Maybe £10,000 handbags fall into the same class as pyramids - or immense stone-circles. They boost the economy in a more peaceful way than warfare. I still think £10,000 handbags are stupid. Buy one for £30 from M&S and spend the rest on books. 5 Would your 16 year old self like you? I hope this doesn't sound smug, but I think my 16-year old self would be amazed by me - I've made a living by writing books! Which was an ambition dearly held by that 16-year old. I stand up and give talks to people who pay me for it. My 16-year old self would be staggered that I could do something so terrifying, and disbelieving that I could possibly earn money from it. The house I live in, I own it; the car I'm driving, I own it. I've been in a settled and happy, if unconventional, relationship for 17 years (with that erstwhile red-headed Scot.) None of this seemed remotely achievable to my 16-year old self, even though I signed my first publishing contract at that age. But 'liking'? I'm not sure either of us would like the other. I think she'd think me big-headed, smug and fake. I think I'd find her a sad sack. It's hard to say which one of us would be more in the right. 6 If you could change one historical event, in any period, what would it be? 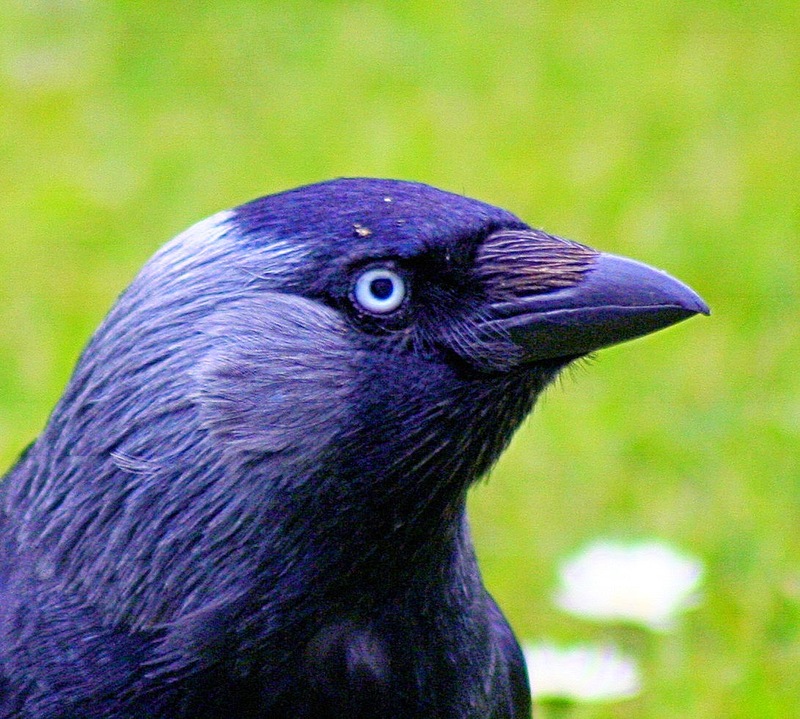 Harald Godwinson would win the Battle of Hastings - which he came very close to doing anyway. I once tried to work out what today would be like if Christianity had never become the official religion of the Roman Empire, and Paganism had persisted to the present day. I came to the conclusion that not very much would have changed - because, I think, history is driven by economics and technology, not by philosophy and religion. Morality would have a different gloss, but that's all. So, I don't really think things would be much better, or fairer, if Harald had won. But hey... It's perhaps fractionally less annoying to spend a thousand years being swindled and stabbed in the back by your own kin than by foreigners. 7 “I don't care if anyone reads my books; I write for myself.” Is there anything wrong with this as a theory of art? I think there is. Others will disagree. For me, art is communication. As Sting put it, it's 'a message in a bottle.' You set out how you feel, and cast the bottle out there, in the hope that it bumps into someone who can understand the message. The writer, sitting alone, making up stories, is scribbling the note for the bottle. The job isn't complete until it's put inside the bottle and cast adrift. Certainly, the writer will learn about themselves. There's a lot of truth in, 'How do I know what I think until I read what I've written?' - But if they then keep that knowledge to themselves, and don't allow anyone else to comment on it - well, to use another metaphor, that's a short-circuit. The power isn't doing any useful work. It's a waste of energy. Not everything we write is wonderful. There, I've said it. And I think it's particularly relevant for memoir writers - including travel writers. So I'm going to give myself a bit of a kicking here, but hopefully some of it will echo in your chambers too. There are many who can write beautiful sentences. The basis of our craft is sentences. We can perfect our grammar and absorb the thesaurus and create images that leave a reader bewildered by our erudition. Yes, but is it interesting? I could describe, in glorious detail, my hotel room in Killarney (I've just got back from Ireland) but I won't because - let's be honest - who the hell cares? It was clean and comfortable, and there were no rats or cockroaches (very relevant given some of the places I visit), so what more do you need to know; I ate great food (Irish cuisine has improved hugely in recent years) and drool over the Guinness (oh the Guinness) but my readers - if any have stuck through this ugly, convoluted sentence - will fall asleep. For our challenge is surely two-fold - to write beautifully, but also (and I would argue more importantly) to be interesting, or funny, or original. And how can we know? There is always someone, even if it is only Auntie Nellie, who will tell us we are wonderful. And there may even be someone on tenterhooks waiting for details of hotel rooms and what I eat for breakfast. You might even suggest that I should write about it, just to please the reader who has got this far in the hope of such nuggets. Up to a point we must rely on the advice of other readers and writers. But I think we must also look to ourselves. Not everything I do or think is of interest to anyone other than me. My reader doesn't really give a toss about me and my little world; he or she wants something that touches them in some way. A what-would-I-do moment, a goodness-me moment, a glimpse of something different or glorious or funny. A titbit that will lead them into a different way of thinking, or feeling, or looking at the world. All of which doesn't mean that I can't have a wonderful time, wherever I am. It simply means that I only write about it if I think it has relevance in your lives as well as mine. And here, just for the one person who might be interested in where I've been, is a photograph from Ireland. You can find more if you play about on my website here – follow the links to the travel and then Ireland pages. 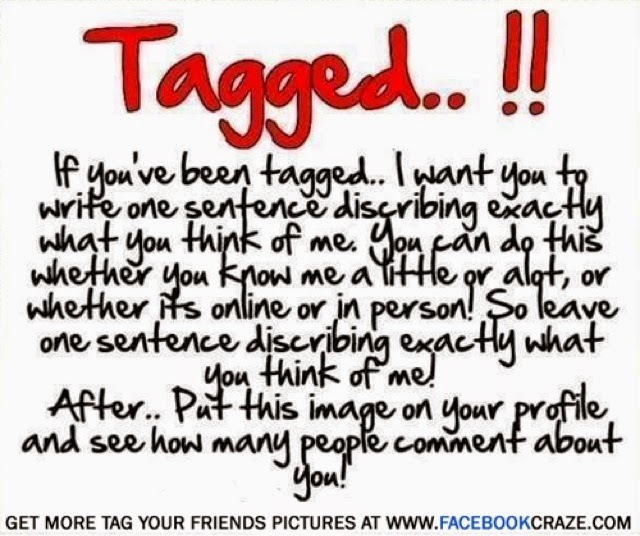 Recently I found myself tagged in one of those Facebook chain posts that make the rounds every few hours or so. You know those posts: Somebody tags you and you have to post a status that says exactly how you met or you have to tag the first five people on your friends list and they are your survival team when the zombies attack during a nuclear war caused by an asteroid crash or if you're tagged you have to post the answer to some kind of secret question and when you do the answer seems some how dirty ("I like it hot and steamy in the morning on the porch." Secret question: How, when, and where do you like to drink tea?). I think you're a semi-illiterate moron. Anyway, I usually try to avoid these things unless I'm bored or grading papers, but this one I liked. So much, in fact that I didn't do it. List ten books (or series) that have stayed with you throughout your life. I am assuming by "stayed" they mean have had a lasting impact, otherwise you're going to be bored with a list of encyclopedias, outdated cookbooks, and Gideon new testaments I just can't seem to get rid of. 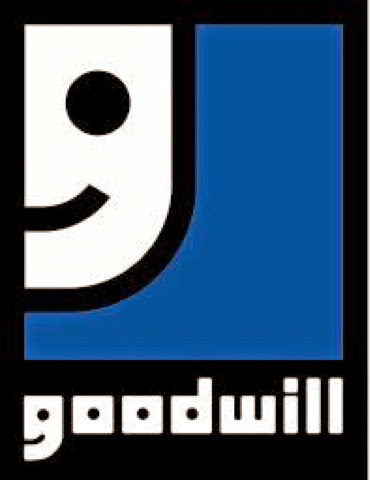 When even Goodwill won't take your books, you know there's a problem. I chose to write my list here in order to also discuss these works instead of just listing ten random books. I'm dividing it into multiple posts because I don't want to lose you halfway through. Also I'm lazy and this will get me off the hook for next few posts. Before I became a literature teacher, this was an afternoon's reading. I first came across this epic fantasy series during the second half of my senior year of high school when the first book, The Eye of the World, was released in paperback and the second, The Great Hunt, was released in hardback. The series tells the story of three young men and two young women from a backwater nowhere named the Shire the Two Rivers who find themselves at the center of literally world changing events.One of the young men is destined to be The Dragon Reborn, a male wielder of the One Power (this series version of magic or the Force or whatever), who will destroy the world when he defeats Shai'tan, the ultimate personification of evil (Shai'tan, Satan; get it?). Several critics of the series decry its obvious debt to Tolkien, and they aren't wrong, especially in the early sections of the first book. However, I defy them to find a work of epic fantasy written after 1955 that doesn't owe something to Tolkien. I would argue that Jordan borrows far more from European and Asian mythology, especially the cyclical nature of time found in Hinduism and Buddhism, the concepts of balance, duality and a respect for nature found in Daoism, and the Islamo-Judeo-Christian creation story. 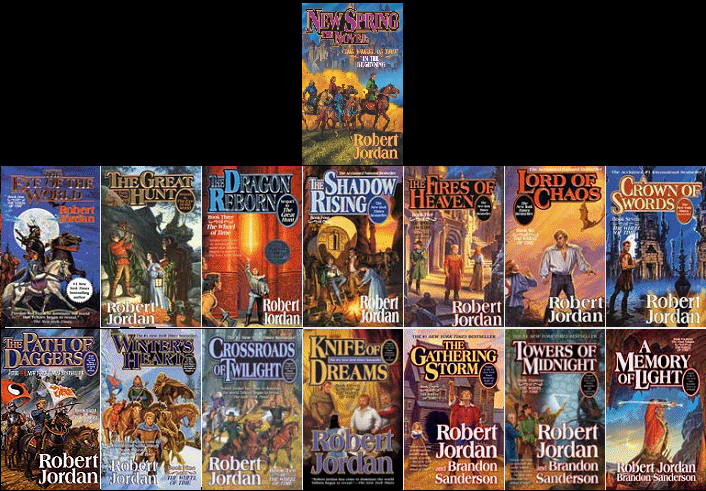 More importantly, Jordan manages to take these concepts, as well as historical events, personages, and folklore, and weave them into a tightly written (though expansive) epic tale of good and evil. I loved it from page one, and despite my somewhat snarky plot summary above, I still do. At the time, the series was supposed to span six books. By the time I was a senior in college, Jordan had just published the fifth book, The Fires of Heaven, and the series showed no signs of wrapping itself up at the end of the next installment. I decided to wait to read it until Jordan finished the story before I tried again. Six books became seven; seven became nine. I know his author's bio at the back of every book claims he "intends to continue writing until they nail shut his coffin," I often thought, but surely he doesn't intend to be writing the same book! Apparently, he meant just that. Thankfully, his estate hired fellow fantasy writer Brandon Sanderson to complete the last three books of the series based on Jordan's notes, and in January of 2013, almost 30 years after Jordan first began writing the series, A Memory of Light, the fourteenth and final book (fifteenth if you count the prequel novella, New Spring), was released. So perhaps, this entry fits both interpretations of "stayed with you" since I have literally been waiting my entire adult life to read the damn thing. I restarted the series over last October. I aim to finish before they nail shut my coffin. this is the version that won a Pultizer. When I was a grad student working on my Masters of English degree, I met the man who would become one of my most important academic/professional mentors, Dr. Randy Hendricks (Ha! bet you thought I was going to say Richard Monaco, didn't you? Hang in there). Dr. Hendricks was (and is) everything I ever hope to be as an English professor: soft-spoken, encouraging, brilliant, a literary memory like a steel trap, and one hell of a funny guy after a few drinks. Every grad student I knew wanted to be just like him when we finished our programs. He was (and is) a Warren scholar, and in an attempt to jump start a conversation with him one night after class (I was taking a Melville course from him) I asked him what I should read if I wanted to read Warren. 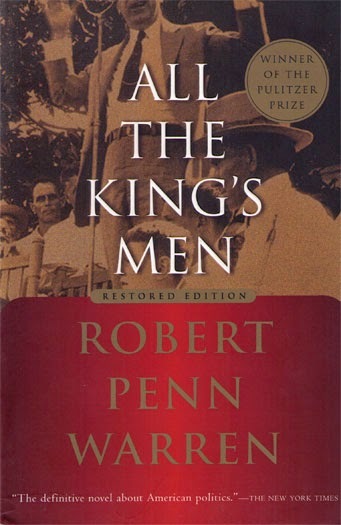 He recommended I start with All the King's Men. This book tells the story of the political rise and fall and the moral decline and rebirth of Willie Stark, an idealistic hick who eventually becomes the corrupt governor of Louisiana during the Depression. It also tells the story of Jack Burden, Willie's friend whose primary job is to blackmail Willie's opponents, his descent into world-weary cynicism, and his eventual acceptance of his world and its flaws. While the story ostensibly follows Jack Burden's attempt to dig up blackmail material on his godfather, Judge Irwin, the plot, in good noir fashion, quickly spirals into mystery after mystery. How did the judge get his money? Why did Jack's father leave his mother? As the story progresses, it becomes clear that the every aspect of Jack's life is interwoven with Stark's career: "The story of Willie Stark, " Jack claims at one point, "and the story of Jack Burden are, in one sense, one story." Willie Stark is equal parts Huey Long and Julius Ceasar. Jack Burden owes much to Phillip Marlowe, Sam Spade, and other hard-boiled heroes of the 1930's pulp magazines. Their story, though uniquely Southern, is also uniquely human. As a Warren scholar myself, I realize this plot summary does not begin to do justice to the rich plot and intricate philosophical themes of this political novel, but it's the best I can do without giving away too much. 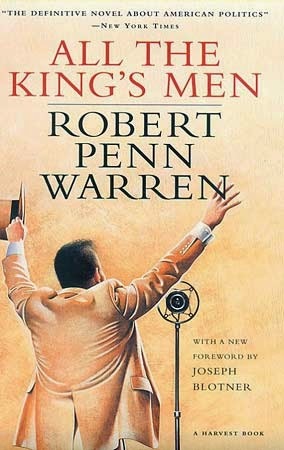 All the King's Men, is not my favorite Warren novel (that honor goes to his next novel, World Enough and Time), but it is the one I come back to the most. It's also the one that I, like Dr. Hendricks before me, recommend to anyone who wants to read Warren's work. actually it's mostly a rough draft." That's about all I can squeeze into one post. Join me next month for numbers 8-6. Well does it? Until recently I hadn’t even considered it. When A Kettle of Fish was published in late 2012, I already had a healthy online presence. Using my ‘platform’ to sell my wares, I could also call in online favours to shout about my new e-book without spending a penny. But two years on, while reluctant to conjure up images of deceased equines, that’s pretty much what I feel I’m dealing with. Surely my online audience and real-time contacts have by now either bought it or decided against? Yes, I think it’s time to find a new audience by doing some advertising. Will it pay? Maybe I should have consulted my blogging associates first, but having woken up one day with a sudden desire to go for it, here’s what I’ve done so far. 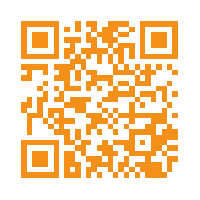 The first thing I considered was a listing with one of the increasing number of e-book marketing services. With these your book is emailed out to readers who have usually indicated a genre or set of genres that interest them. To test the waters, I signed up as a reader to three of these, Fussy Librarian (well I used to be one!) E-book Soda (nice name) and Bookbub (not a nice name but seems to be the biggest). Emails arrive daily with listings in my chosen genres with links to retailers and I have even bought one or two, so I can see that the system works. All of these services have or claim to have a basic quality control mechanism for submissions and some of them insist that the book is discounted from its normal price or have an upper price limit. The cost of these services is usually linked to the circulation stats for the chosen genre. These examples are all for a single day listing in the women’s fiction category. Bookbub is the only one to give estimates of sales. They claim a paid-for book will sell an average of 2000 per listing but the spread is from 400 to 4000. Even if I make my book free (average downloads 19000) it’s a lot of money for a business with minimal profits. And no guarantees of the uptake. On the day I checked, the E-booksoda price was only $5 and I took the bait. It will be mailed in two days time on September 24th. If there’s limited impact, at least I won’t have broken the bank! Meanwhile my POD publisher Feedaread was offering an advertising deal via Writers Magazine and Writers Forum (combined subs 13000 plus retail distribution 33,000) in which readers will visit Feedaread website and choose to read an extract from any of a number of novels for the chance to win a substantial prize. I have some reservations about this and would not have taken part if I hadn’t negotiated that the e-book as well as the paperback will be mentioned in the promotion. (Yes, there’s hard woman in there somewhere!) Let’s say the cost is a lot more than $5 but still considerably less than the cheapest Bookbub deal. I have to confess my approach in all of this has been far from systematic and you can probably see there are other factors I haven’t gone into here. I’m also hoping that by the time these promotions run, I’ll have access to my own detailed sales figures which are at present only seen by my (micro) e-publisher. I’d be fascinated to here how others have dealt with any of this and how they have fared. I do have other marketing plans including face-to-face events, but I’m also aware that the best plan of all might be to bring another product to the market. Yes, never mind the sales pitch, time to get writing! Do you love birds? I wouldn't have one as a pet in a cage, but I love to see them in the garden, especially finches. They're like bright little jewels. Put that bread back or else! 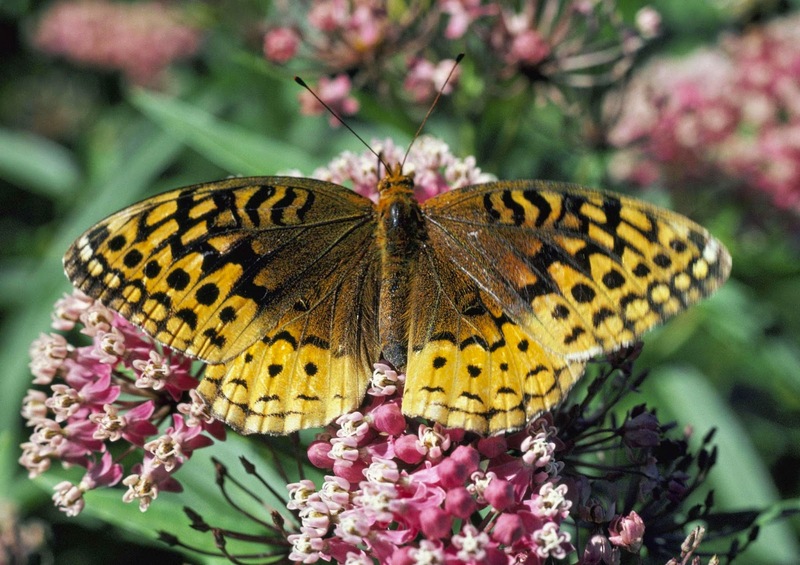 There ain't room in this town for both of us..
Did you know that butterfly larva eat their own special plants? No, neither did I, until I read about it in the paper this week. 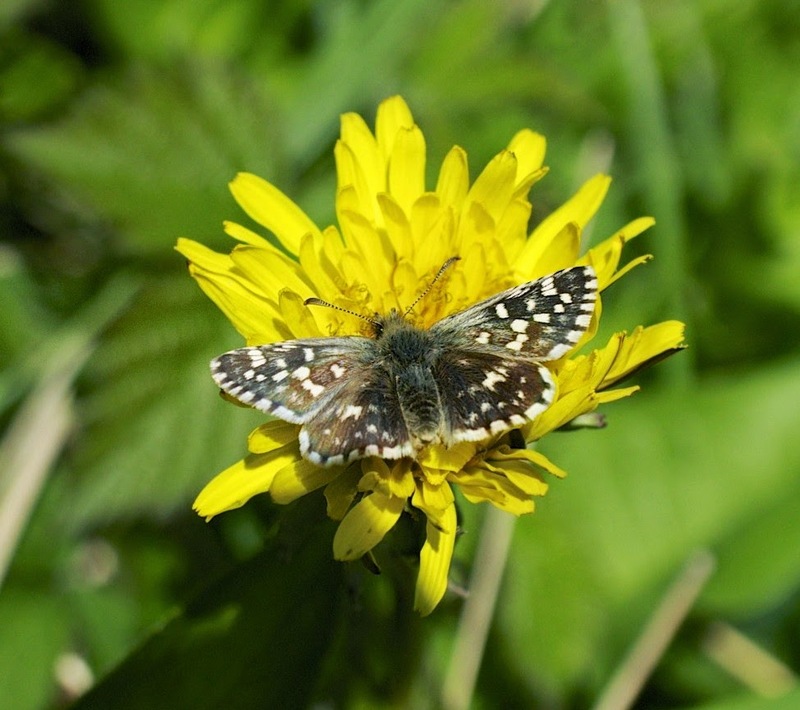 It’s all very specific, which makes it easy to see why some butterflies are at risk, when their food plants are decimated. But to the point of this post: all my reading life I’ve had a worry at the back of my mind about reading the 'right' books. Maybe this was planted in my school days when we had lists of ‘suitable’ books to read, to prove that we were well-educated. As a teacher, I’ve often been asked by anxious parents and students what books to read, in preparation for exams or university entrance, in other words, what to read to impress. Look, I’d like to state publicly now, that, in spite of having spent my working life as an English teacher and writer, that I have not read War and Peace, Proust or Ulysses. Nor have I read the complete works of Dickens, Thomas Hardy or Shakespeare. I’ve read some of each, of course. Yet, always at the back of my mind, was this prodding anxiety: ‘You should know it all…you should have read more…learned more’. What codswallop! It’s only now in my sixth decade, that I'm able to take a step back from the rush of a working life and see things in a more balanced way. We are all different, with different appetites for different food plants and different books. I used to be disappointed when friends hated the books I loved and confused when I just couldn’t see what the critics were raving about in the bestsellers. Now, I know it doesn’t matter a jot. Kate Atkinson : Life After Life, which is beautifully written, in an almost spoofy way, verging on caricature at times, considering the subject matter. (Is that the point? I still haven’t quite squashed that worm of doubt in my own judgement). The book’s incredibly dispiriting, though. Just when you’re in love with the characters, they pop their clogs! It’s upsetting me no end. Superb writing though, so I’ll persevere. Marc Levy: The Children of Freedom, a gut-wrenching account of resistance fighters during Hitler’s occupation of France. Absolutely rivetting.